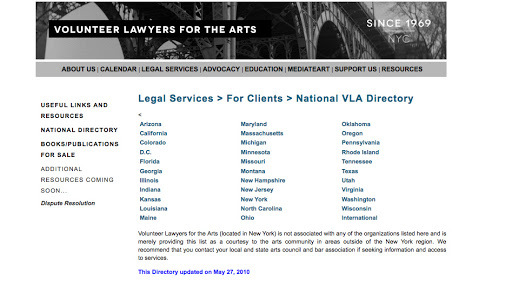 VLAs, Volunteer Lawyers for the Arts organizations, exist in a number of states, including New York, New Jersey, Massachusetts, California, and Maryland. 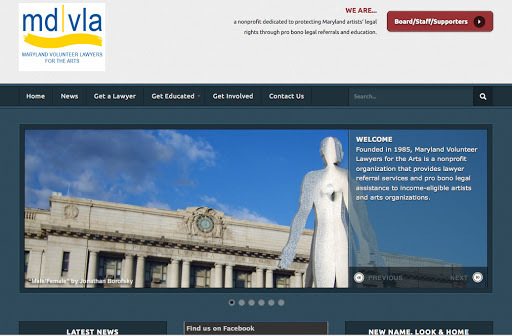 Over the course of the next three months, Maryland VLA will host four Art Law Clinics to help “Right-Brain People with Left-Brain Support.” The sessions will take place on February 23 and March 9 at Maryland Art Place; and on March 23 and April 6 at the City Arts. Those in need of contract review or other legal advice should make appointments by contacting either info@mdvla.org or calling 215.527.5304.